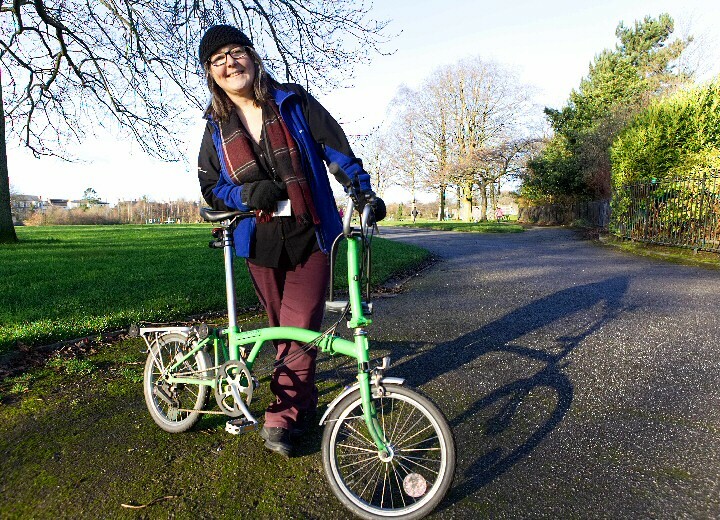 JAYNE Rodgers is on a mission… And that mission is to get more people in Liverpool geared up to the tandem benefits of 2 wheeled transport and the City's great open spaces. If you're looking to become more active in 2019 then Jayne, who is Liverpool City Council's newly appointed Cycling and Walking Officer, has a bespoke solution. "Cycling and walking for pleasure have so many benefits for your health. At this time of year, a lot of people will be trying to get a bit fitter and lose some weight. Getting out on your bike or taking a walk in the park can really help with this. And the really great thing is that it doesn't have to cost a fortune to get started." said Jayne. Liverpool has a network of cycle routes that take in some of the City's best sites. You could hop on the Trans Pennine Trail from Speke to Aintree, take in the splendour of Sefton Park as part of the University Route or take in the Majestic views of the Mersey from Everton Brow. The City boasts ten large parks and more than 90 other parks that are free for everyone to enjoy and the vast majority are bike friendly. The City Council has a 12 year cycle strategy, which runs until 2026. This sets outs Liverpool's vision to be the fastest growing City for cycling and aims to encourage residents to make cycling part of their daily lives. Which is where Jayne comes in. Jayne added that:- "We are working to provide an attractive cycling environment across the City through the network of routes. This is about looking at where we can make improvements to create a more accessible environment for cyclists of all ages. Our parks and green spaces play an important part in this because they are a green network that can really help you to get around the City. And of course, they are great places to be and enjoy in their own right." Jayne's advice is simple:- "Get out and give it go!" She also commented to the media that:- "There are lots of ways we can help get lots of projects and charities that can give you access to bikes and there are lots of different rides and opportunities for people to take part. Do a bit of social riding and ride with others. You'll be amazed at how much beauty there is on your doorstep and how many other people you'll meet doing exactly the same thing." Cycling is a key element in the City Council's ₤500m Better Road programme with a new riverside cycle lane connecting the South of the City through to Southport currently under construction. Liverpool City Council's Cabinet member for the Environment, Cllr James Noakes, said:- "We want to do as much as we can to encourage more people in our City to use their bike or walk. Not only is it good for your health but it can help to reduce congestion on our roads and cut down on your travel costs. Our Citybike scheme is a great example of how we are promoting cycling in Liverpool. There are Citybike stations across the City and you can get going for as little as ₤1. It's great that we have Jayne on board to promote these sustainable forms of transport and we want everyone in Liverpool to join our walking and cycling revolution." MERSEYSIDE'S Police Commissioner is asking local people if they would be willing to pay a little extra through the Police precept, which is collected alongside the Council Tax, to help protect 100 Police Officer jobs and recruit 40 new Officers. The public consultation launched by Jane Kennedy follows the budget announcement in December where the Government said local Council precept payers must pay more to avoid further cuts in Police jobs. The increase equates to approximately 31p a week or ₤16 a year for a Band A household, the lowest Council Tax category but the majority of Council Tax payers on Merseyside. The 2019/2020 financial settlement provides an additional ₤8.4m in Government grant for Merseyside Police, but this will be entirely consumed by the pension shortfall announced by the Government in September 2018. The settlement provides no new money for the day to day running of Merseyside Police, the cost of which increases every year due to pay and price inflation. Without a rise in the Council precept the Force will face further damaging cuts. Since 2010 Merseyside Police have already been required to make cuts of ₤110m, with an estimated ₤14.5m still to make by 2022/23. In that time, the size of the organisation has reduced by a quarter, with 1,110 fewer Police Officers now patrolling the Region's streets. This increase in the precept would enable the Chief Constable to avoid the planned cut of 100 Police posts and instead, increase the number of Police Officer posts by 40. 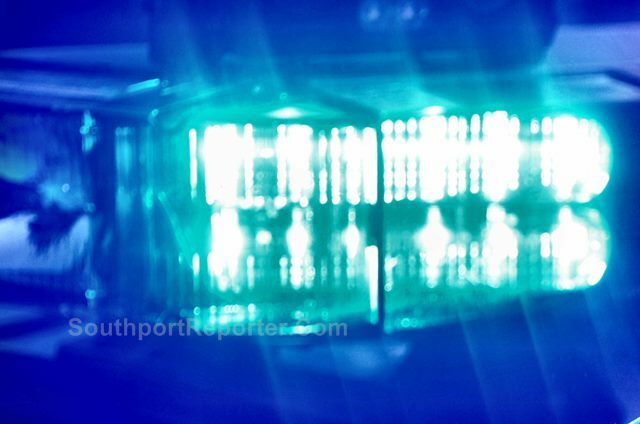 If local people do not agree then Merseyside Police may be forced to make further cuts as it struggles with both increasing costs and calls for assistance from the public. Jane said:- "The responsibility for providing the appropriate level of funding for a large urban Police Force like Merseyside lies with Central Government which is why 83% of the Merseyside Police budget is met by general taxation. However, the Government are shifting the burden of paying for the Police on to the shoulders of local Council Tax payers. This is good news for wealthy counties like Surrey, but bad news for urban forces with less wealthy communities. It is a regressive form of taxation. I have little choice but to ask for the increase in the Council precept to prevent further cuts. I know the public of Merseyside want more not fewer Police Officers. While I am reluctant to ask local people, who are already heavily burdened, to contribute more toward policing, if they are willing to do so it enables me to stabilise the Force's budget, prevent the loss of 100 more Officers and even to replace 40 of the Officer posts that we have lost.Over the last 8 years, the Police budget has been cut by ₤110m. This increase would give the Chief Constable an additional ₤9.8m with which to Police Merseyside. It does not compare to what we have lost, but it is essential if the Chief Constable is to keep up with the increasing demands he faces." The Commissioner is now holding a consultation asking people if they would be willing to contribute the extra funding expected by the Government and help her to halt the impact of ongoing cuts. Jane added:- "I appreciate that by asking the public for more money, they will quite rightly expect something in return which is why I am promising that if local people are willing to support these proposals the Chief Constable will prevent the loss of 100 Police jobs next year and bring back 40 Police Officer posts. I am asking people on Merseyside if they would be willing to contribute that extra 31p a week for the majority of householders to help protect vital frontline Police services. This would increase the Police precept from ₤118.65 to ₤134.65 a year for those properties. The Government have stepped away from supporting our Police service, I hope local people will not do the same." People are invited to have their say through a short online survey at:- MerseysidePCC.Info, by Sunday, 3 February 2019. A series of Community Consultation Road Shows are also being held across the Region, to ask people for their views. Anyone who wants to receive a paper copy of the survey can telephone:- 0151 777 5155 and 1 will be posted out. THE Law Society has appointed a top medical negligence solicitor from leading Southport firm, Fletchers Solicitors, as Chief Assessor of its clinical negligence specialist panel. Trevor Ward has taken up the post, after being an Assessor of the panel since its inception. As Chief Assessor, he will be responsible for working with the Law Society to administer its 'Clinical Negligence Accreditation Scheme.' oversee the application process and ensure it is up to date. Trevor has more than 30 years' experience in the legal sector, specialising in all areas of medical negligence, and has been member of the Panel for 25 years. He will hold the post of Chief Assessor for 3 years. The 'Clinical Negligence Accreditation Scheme' ensures that the general public are easily able to identify legal practitioners with proven competency in clinical negligence law. Trevor said:- "It is an absolute honour to accept this appointment and to be involved with such an important programme. I have been on the Panel for many years so can bring a wealth of experience to the role of Chief Assessor. It is a great way to start the New Year and a role that I look forward to developing over the coming 3 years." Trevor joined Fletchers Solicitors, 1 of the UK's leading medical negligence firms, in November 2017. Ed Fletcher, CEO at Fletchers Solicitors, commented: "At Fletchers, Trevor is responsible for handling the most serious, life changing medical negligence cases the firm receives. He is highly regarded in the legal industry due to his level of experience and his dedication to upholding high standards of practice within the sector."